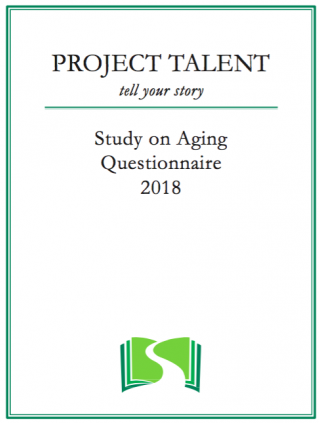 The Project Talent Aging Study is here! Get the latest updates on the blog! The New Project Talent Follow-Up is Here! Project Talent’s newest follow-up study has launched! The Project Talent Aging Study (PTAS) includes approximately 22,500 Project Talent participants. For this study, there will be a a special focus on participants of color and on twins and their siblings. As PTAS data collection activities begin, we’ll be posting updates on this page–so check back regularly to track our progress! We thank all those selected for being a part of PTAS. We hope you find participation interesting and rewarding! PTAS: What’s it’s all about? The goal of PTAS is to further our knowledge of how early life experiences and characteristics influence how we age. These include factors like personality traits, educational experiences, military service, socioeconomic status, race, and gender. We’re also interested in understanding why some people are able to survive, and even thrive, despite significant diversity–a concept known as ‘resilience’. For example, what patterns of experiences and attributes indicate either a higher or lower likelihood of developing degenerative conditions like Alzheimer’s disease? What impact does socioeconomic disadvantage in adolescence have on mental and social resilience later in life? Answers to questions like these can aid researchers and policymakers in crafting more informed health and public policies that help populations thrive into old age. We are particularly interested in hearing from those who identified in 1960 as belonging to a racial or ethnic minority. 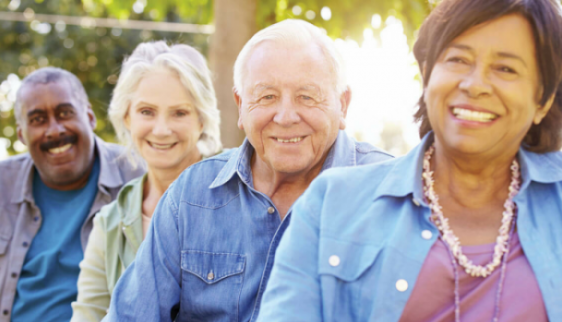 Racial minorities who experienced socioeconomic adversity early in life are more likely than their non-minority peers to experience impaired cognitive function and cardiovascular disease as they age. We want to know why this is. We’ll also dig deeper into understanding the longterm impact of attending segregated schools. These findings can have significant implications for today’s education policy as segregation in schools continues to rise. We look forward to hearing from all our participants of color! Participants who identified as a twin, triplet, or other multiple in 1960 are also included in PTAS. Project Talent researchers have been studying twins and their siblings since the 1960s. Twins and other multiples are an important source of information because they allow us to understand whether health and cognitive outcomes are the result of genetic, family, school, or environmental factors. PTAS researchers will study twins and siblings to develop a deeper understanding of why higher educational attainment corresponds to a reduced risk of cognitive decline in later life. We’ll also examine the impact that socioeconomic disadvantage in childhood has on the development of resilience. We thank all our twins, multiples, and siblings for their ongoing involvement with Project Talent! PTAS is being conducted with funding from the NIA (R01 AG056163-01; Prescott, Lapham and R01 AG056164-01; Manly, Lapham). It is part of a multi-site research team with University of Southern California, Columbia University and several other academic partners. PTAS is one of several studies in our Project Talent program of research directed by Susan Lapham and headquartered at AIR.